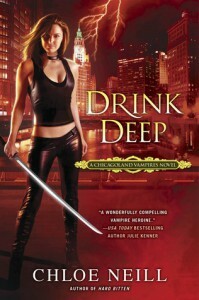 The Chicagoland Vampire Series is one of my favorite Urban Fantasy Series. 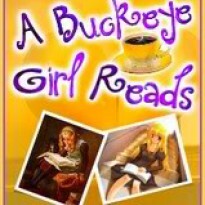 The characters have become dear friends and I love returning to them with each book. As much as I love this series though, I have mixed feelings about it. At the beginning of the book I could not shake the feeling that it was reading more like a Young Adult book. I've seen others state this about this series before, but never understood how they could think this until now. I think that this feeling came from how things that happened previously in the series were explained. I didn't feel like I was being talked down to, but at the same time felt like some felt some explanations were unnecessary. This feeling gradually went away, but it took awhile. I enjoyed the mystery of what was turning Lake Michigan Black and the new paranormal creatures like the river nymphs that were in the story. I also really liked that Merit's best friend Mallory showed a different side to her...and I shouldn't admit this but I really liked Jonah. It thought he was really good for Merit and made her do things for her instead of doing things just out of loyalty. I liked seeing Jeff and Catcher in different roles and those two always bring a smile to my face. What I missed in this book though was characters from the last books that just seemed to disappear into thin air. One little paragraph for Morgan? Seriously? He was such a big part of the first two books that it saddens me not to see him more. (It makes me hesitant to like Jonah as much as I do. ) The shape shifters that played apart of the last two books were non existent in this book. I wanted to see more of Gabriel and learn more about his prophecy for Merit's that wasn't mentioned once, but in Hard Bitten was talked about a lot. Another thing I didn't understand is why Merit isn't hanging around the vampires in her house more now that she's been a vampire awhile now. I could understand in the beginning why she hung out with Mallory and then did missions with Ethan, but it would have been nice to have Merit bond more then just one or two of the girls in the house. All series have what I call the fail book. The one book that kind of takes a hit so the series can grow and move on. I think Drink Deep was that for this series. The storyline has changed so much from the beginning that it had to be done for new arcs to begin. That a new story arc was beginning was obvious by the ending of this book that was a cliffhanger that almost made me forget all the problems I had with this book. I think I'm still in shock over the events that happened. I still don't know if I like them or not. Everything was so rushed that it's going to take me awhile to process what happened. Even though this book left me with feelings all over the place I'm not going to stop reading it because the characters have become dear to me and I can't wait to see what happens to them next. After processing what happened in this book and the next I realized that Chloe Neill is one heck of a writer. If she can make me so upset over a couple of books then she must be doing some right, right? !